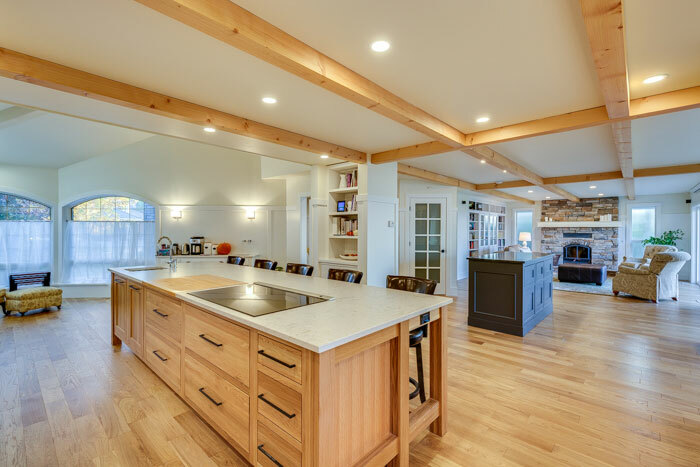 Sahali Remodel - Malcolm Homes Ltd. | Custom Home Builders, Remodeling | Kamloops, BC. 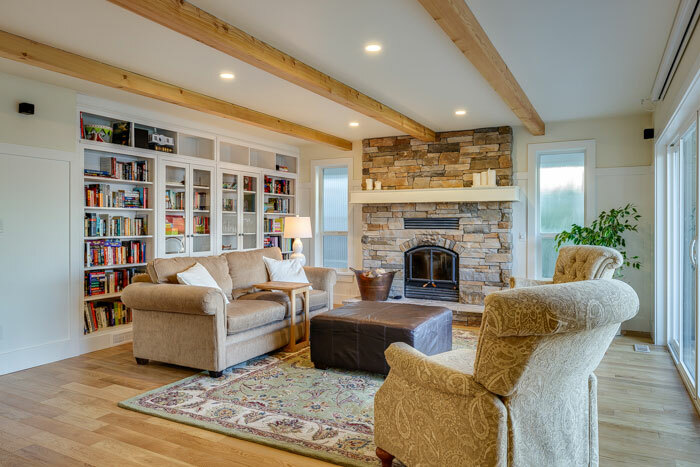 The goal of this remodel was to unify the main floor layout from segregated spaces. 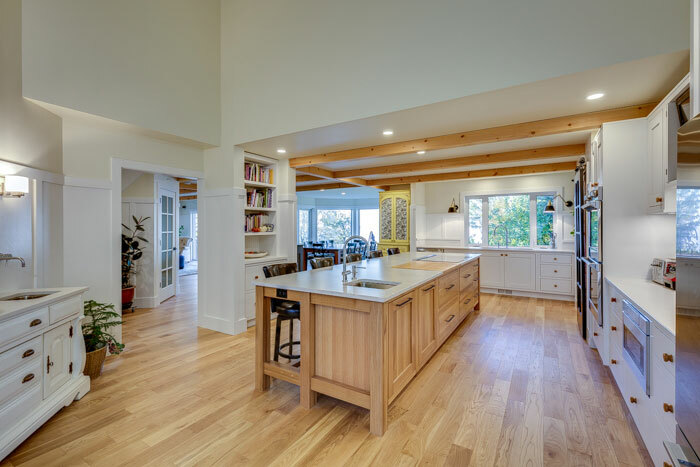 To achieve an open concept design, interior walls were removed, sunken floors were infilled and the small kitchen was relocated. 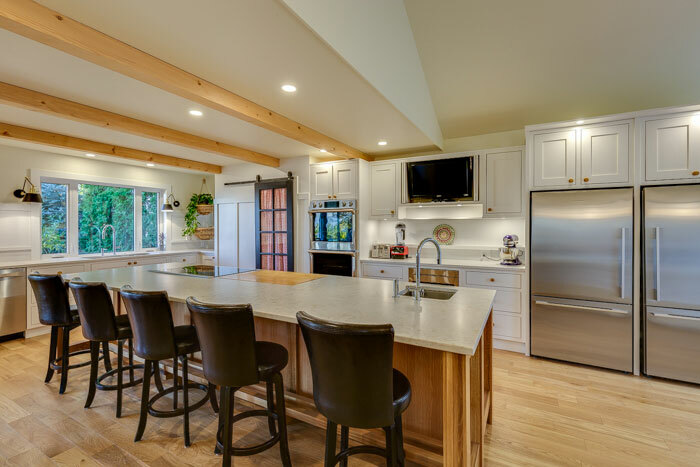 The large island in the new gourmet kitchen became a focal point for cooking, eating, and entertaining. Timber accents were added to the ceiling for a contemporary country feel. Copyright © 2019 Malcolm Homes Ltd.